Where are you on your spiritual journey? 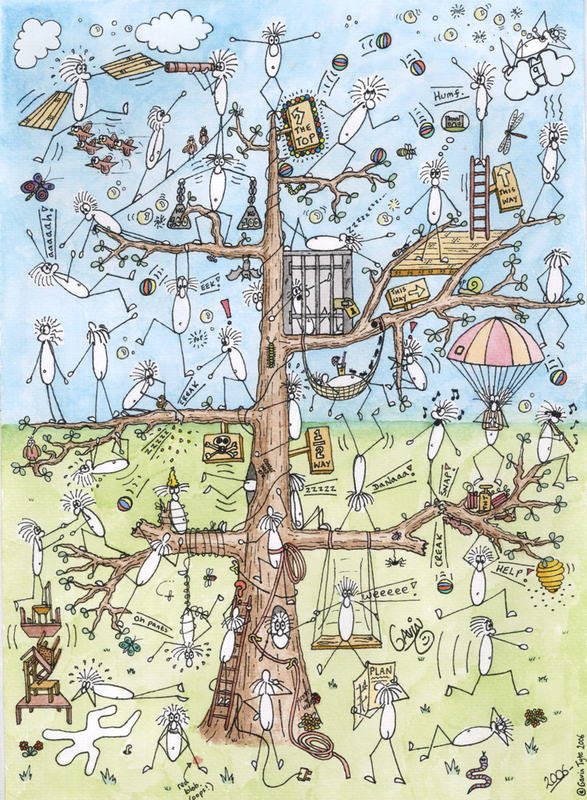 Here is a Feelings Tree (or emotions tree – a bit similar to a blob tree) painted by Revd Gavin Tyte. The tree is full of different characters. Which one are you? This Feelings Tree is the No.1 image in Google searches for Feelings Tree. You are welcome to use this picture for personal and non-commercial use (see license below). If you have found it helpful, why not show your gratitude by making a small donation to the mission of our church? Feelings Tree by Gavin Tyte is licensed under a Creative Commons Attribution-NonCommercial-NoDerivs 3.0 Unported License.